Teachers, leave the teaching to us. 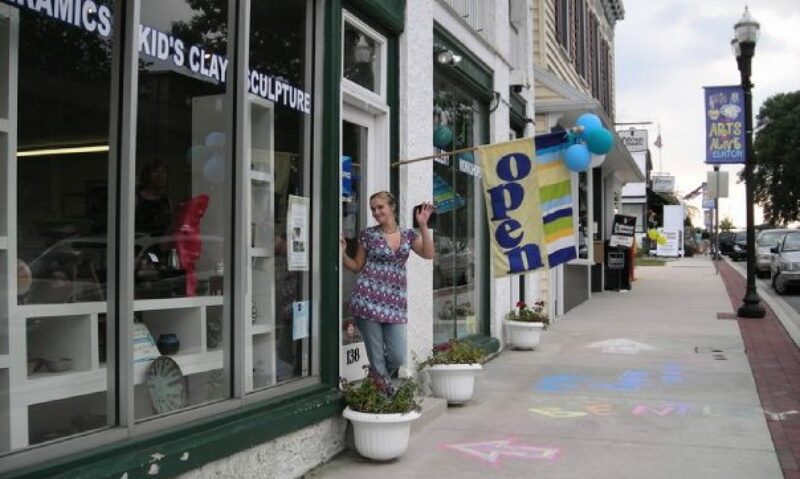 Art Space on Main has the ability to host class trips for up to 25 students. By splitting the class we can have half the students work on the wheel while the others work on a hand building project. Then switch. Each student will complete at least 2 projects during their visit. By bringing your students to us you are able to give them much more experience in ceramics in one day than you could in a year confined to the classroom setting. At Art Space on Main we work with a variety of civic groups to meet an assortment of needs. Whether you are looking for an activity for garden club or Girl Scout / Boy Scout troop or even the local Rotary club, we can create a project that fulfills the needs of the group. Use pottery as the medium for building your team. Employees gain insight into their colleagues’ behavior and thought process. Participants have a great time learning basic hand building skills while getting to know each other from an entirely new perspective. Call 410-620-2464 for detail and to schedule your session. Art Space on Main offers a unique and fun way to celebrate your child’s birthday**. We provide all materials and approximately 1-1/2 hours of instruction in your own private party room. You supply party decorations, plates, napkins, tablecloths, banners, balloons as well as cake, beverage, food and party favors. Set-up before and after is not included. Over 15 children add $20 per child. Call 410-620-2464 to schedule your child’s party today.